Two storey villa for rent with free Wi-Fi and private pool. 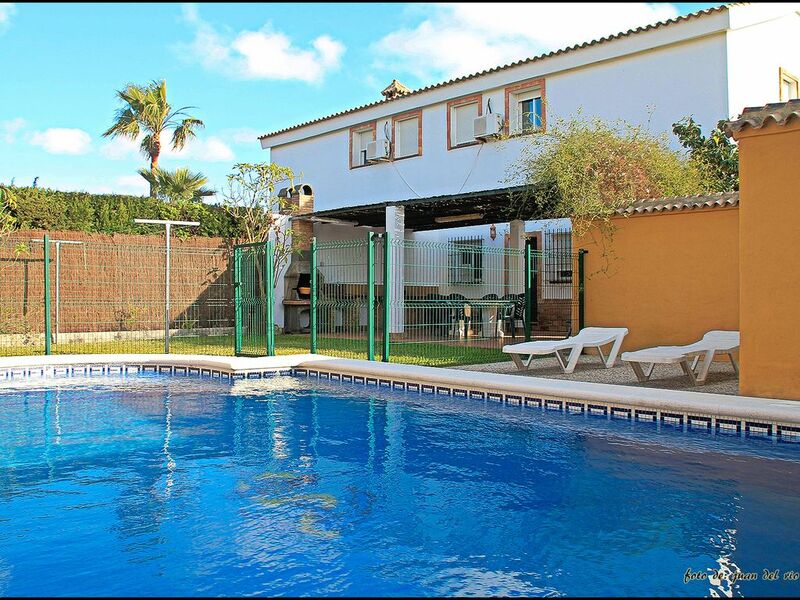 Located only two minutes by car from the town of Conil. From the villa it is just six minute´s drive to the beach at Cala del Aceite and less than three to the beaches of Los Bateles y de La Fontanilla. The property has two floors, upstairs there are three bedrooms, two full bathrooms and a terrace with views. Downstairs is the large lounge and a fully equipped kitchen with American bar. Outside at the front there is a porch surrounded by shrubs and flowers, with shared gardens with neighbouring properties. At the back there is another porch with private garden, barbecue, sun loungers and the best, the completely private pool. There is covered parking and a little football ground. In a quiet rural area, but with everything close at hand just a few minutes in the car. Here you have the best of both worlds.